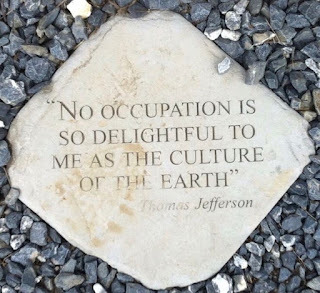 Thomas Jefferson who served as the third President of the United States, widely acclaimed as America's ﬁrst distinguished viticulturist established two vineyards at Monticello Virginia more than 200 years ago. Although, Jefferson aspired to make wine from Monticello grown grapes and eventually turn Virginia into a wine industry, his efforts were largely a failure during his time. In this article, we explore the history and evolution of Virginia wine region and industry since Jefferson planted the first vitis vinifera vines at Monticello. 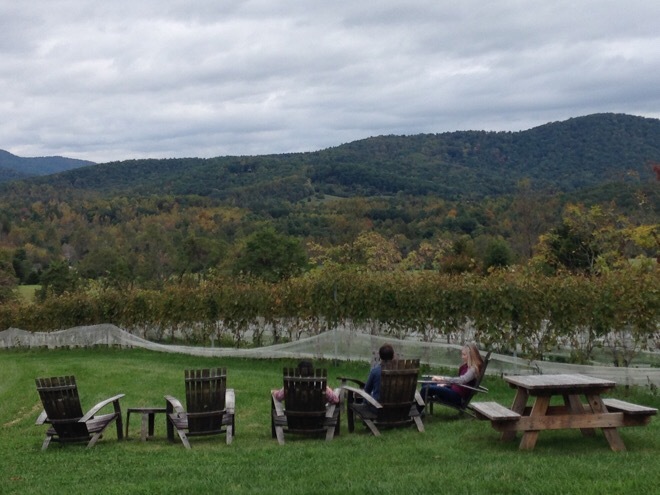 Today Virginia is a thriving wine industry and Jefferson's dream is beginning to come true. 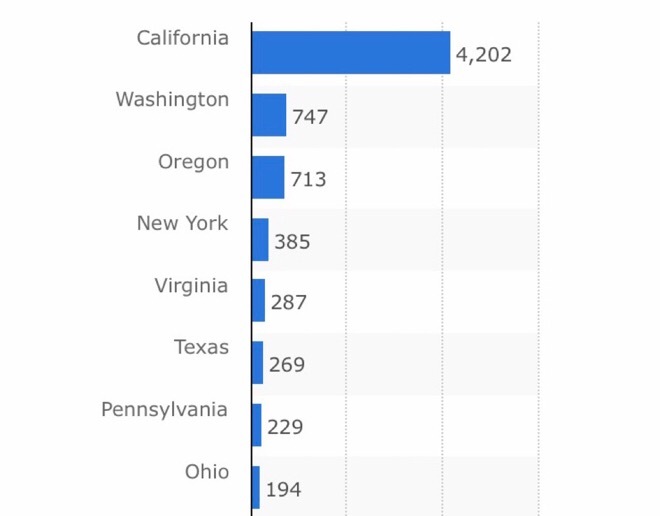 Virginia is the 5th U.S. State with the most wineries, 287 according to statistics from the USDA in 2017, behind only California, Washington, Oregon and New York. The state’s wineries are scattered across seven AVAs. 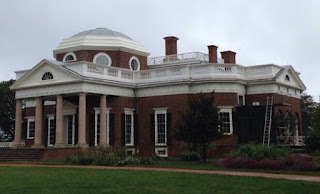 The first one, established in 1984, is the Monticello AVA whose boundaries were drawn up based on Jefferson's vision for vineyards surrounding his home estates. In 1773 Jefferson convinced Filippo Mazzei to be his neighbor and gave Mazzei land, adjacent to his home in Monticello. Filippo Mazzei was a businessman, physician and viticulturist from Tuscany Italy, who had been promised land by Virginia Legislature in Augusta County and convinced by Benjamin Franklin in moving to the United States. Mazzei, also had an interest in the political life of the Colonies. Thomas Jefferson persuaded Mazzei to settle on a tract of land adjoining Monticello on the east, and gave him about 2,000 acres, which Mazzei named as Colie. They planted vitis vinifera vines brought over from Europe. 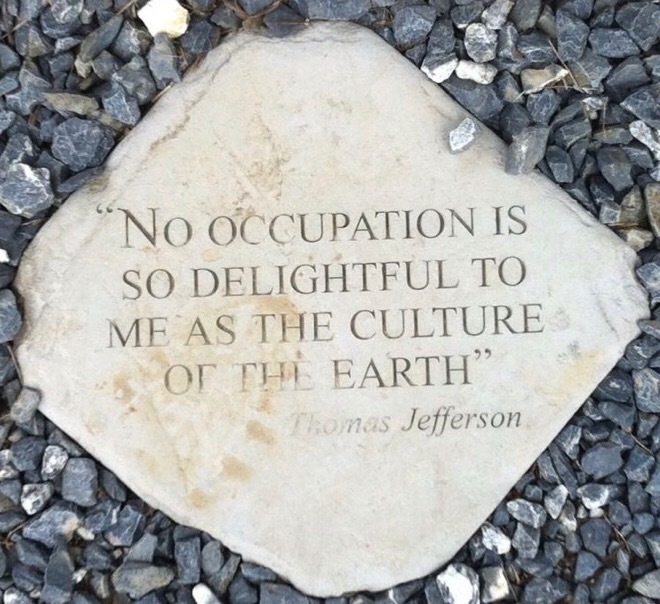 Note from Jefferson's Garden Book - Philip Mazzei brought over with him from Italy ten vignerons. They landed in Virginia late in 1773. In the summer of 1774 six others arrived from Luca, Italy. However a severe frost ruined many of the vines in 1774. The following years, it is said that Mazzei was able to make some wine from the wild grapes growing in the region but the grapes being of low quality, had an unpleasant taste. Their experiment was cut short by the Revolutionary war, though both men remained convinced that Virginia had the potential to make good wine. Note from Jefferson's Garden Book - The frost that killed almost every plant that had come into leaf at Monticello, also killed all of Mazzei's plants lately set out at Colie. Following the Revolution, Jefferson tried to grow vines, but failed again. Some of the reasons for the failure of the European vines to adapt to Virginia, can be attributed to the very cold, and often unpredictable weather during those years besides pests and fungus. 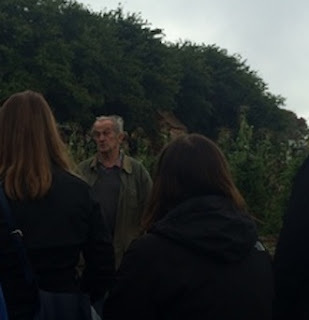 This climate theory is also backed up my Gabriele Rausse, Director of Gardens and Grounds at Monticello and one of the pioneers of the modern Virginia wine industry. Rausse a native of the Veneto wine region in Italy, has successfully grown vines on the same slopes of Monticello, where Jefferson tried 200 years ago. Further evidence of harsh winters and climate during that period is presented by weather historian David Ludlum, in his two books titled Early American Winters and the American Weather Book. In the final years of Jefferson’s life a man by the name of Dr. Daniel Norton was experimenting with crossbreeding in his Richmond, VA lab and while working with the Norton vine discovered that it was well suited for growth in Virginia soil and climate conditions. After his discovery of the native American grape that would take his name, Dr. Norton made the grape commercially available for purchase, and in 1830 the vines found a home in Missouri. The German settlers who founded the Missouri wine region loved how the Norton grape could survive in the harsh and cold conditions of the region, unlike the French vines that died easily, and how it was impervious to diseases. In 1873, Norton wine won the gold medal in the international exhibition in Vienna, but unfortunately the progress of the wine industry was stalled due to Prohibition, the Great Depression and World War ll. Barboursville Vineyards, recognized as one of Virginia’s best winery, opened in 1976, marking the first successful planting of vitis vinifera vines in the modern Virginia wine industry. This winery estate, neighboring Monticello, was founded by Gianni Zonin an Italian wine maker from the Veneto region. To run his wine estate, Zonin hired a young man from his hometown, Gabriele Rausse, who has been cited above. Although average temperatures at Barboursville were the same as that in Rausse's home region of Veneto, the highs and lows were far more extreme. In their first year, 50 percent of the vines at Barboursville died. Rausse attributed the reason to the grafts, that were used in planting the vines. Grafting is an important technique for creating disease-resistant plants, which are more suitable to the local conditions of a region. And so Rausse adopted a careful grafting technique to ensure the grape vines would adapt to the region and be suitable for the harsh Virginia winter. Today the vines planted at Barboursville are predominantly Bordeaux grape varieties for the red wines, and also including Nebbiolo, Sangiovese and Barbera; among white varieties are Viognier, Chardonnay, Pinot Grigio and Sauvignon blanc. The Barboursville Vineyards flagship wine, Octagon, is a Bordeaux-style blend, mainly based on Merlot, with parts Cabernet Sauvignon, Cabernet Franc and Petit Verdot. 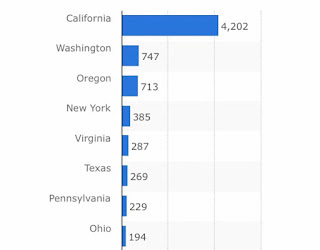 As of 2014, the top 5 varietals produced in Virginia are Chardonnay, Cabernet Franc, Merlot, Vidal blanc and Viognier. The climate pattern in Virginia is difficult to predict and each year can be different from the other. Grapevines do well in warm dry summers and mild winters. Cooler night temperatures also help to retain the grape acidity and produce good wine. Changes in weather patterns can make grapes ripen early or late, which can affect the quality of the wine. Additionally high humidity promotes vine disease. As the saying goes, Wine is science and art put together. Virginia wine makers are constantly trying to address these challenges, through research and experimentation. 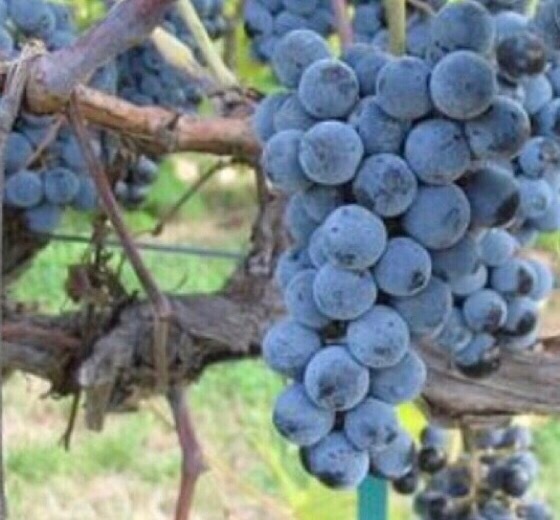 This involves, finding the best grapes that can evolve to the conditions and actively managing many of the disease related problem through proper and active care of the vine. Wine blends have also grown in popularity, as it allows the wine maker to creatively blend the best attributes of the different grapes to create a more balanced wine. The future of Virginia wine is still evolving, but it has the potential to be among the leading wine regions of the world, a fact affirmed by renowned expert and British wine critic Steven Spurrier, at the ﬁrst Virginia Wine Summit in October 2012. Steven Spurrier is best known for his role in the 1976, 'Judgement of Paris' where California wines shocked the world by winning a prestigious blind tasting competition featuring wines from France. In a similar blind tasting staged at the Virginia Wine Summit, a total of 16 wines were tasted in 8 categories, as Virginia wines went head to head with a comparable varietal/blend from other well established wine regions. Virginia wines won in 6 of the 8 categories in the blind tasting, a conﬁrmation that some of the best wines from Virginia can compete with other wines from better known regions. Thomas Jefferson never had the chance to drink good wine from Virginia but after 200 years, his dream of making Virginia into a great wine region and industry, is beginning to come true.